Oil derricks and churches have long dotted the hot, dusty Texas landscape, but the two do not exist in mutual exclusivity. Where oil is a dominant economic driver, religion is closely tied—and not just in Texas. 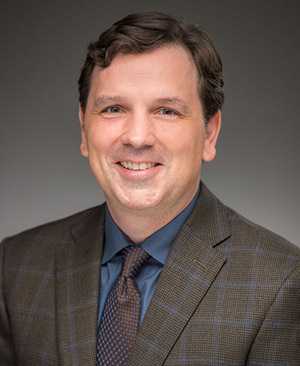 Darren Dochuk, associate professor in Notre Dame’s Department of History, will spend a year exploring that connection with support from the National Endowment for the Humanities. The NEH has offered Dochuk both a fellowship and a Public Scholar Award for the project, which will allow him to spend the 2017–18 academic year completing his book, Anointed With Oil: God and Black Gold in America’s Century. Dochuk is one of three Arts and Letters faculty members awarded NEH fellowships in December 2016, continuing the University’s record success. Arts and Letters faculty members have been awarded a total of 61 NEH fellowships since 1999—more than any other university in the country. 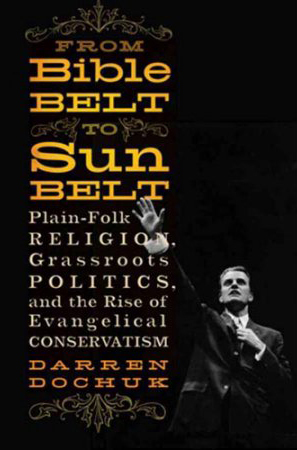 During research for his first book, From Bible Belt to Sunbelt: Plain-Folk Religion, Grassroots Politics, and the Rise of Evangelical Conservatism (Norton, 2011), which won prizes from the Society of American Historians, the American Historical Association, and the Organization of American Historians, Dochuk found that people fleeing Oklahoma and Texas for California during the Great Depression brought with them a culture that gave rise to Reagan conservatism in later decades. Dochuk’s research for that work also led to the framing question for his second book. Curious about other connections, Dochuk is exploring evidence that the culture around oil and religion has influenced several pivot points in American history. He points to President Dwight Eisenhower’s election in the early 1950s, with shared help from Gulf Coast state religious and oil organizations, as a key moment in the rise of the Republican Party in the South. Church leaders were concerned about a federal government move to take control of tidewater oil in the late 1940s and early 1950s that may have diverted funds from local schools and governments. They swung their support to Eisenhower, who promised to leave offshore oil to the states, and set a political and environmental course in their states that is still relevant today. Dochuk’s book will look at the subject from three levels. On the local level, he will discuss how people living in the fields develop similar views on politics and religion based on the boom-and-bust world of the oil market. At the national level, he explores the rise of U.S. hegemony based on the twin pillars of strong religion and big oil. Finally, Dochuk will compare the story of North America with that of other oil-rich countries and regions to understand how religion and oil have had a global impact on the 20th century and beyond. Dochuk, who joined the Notre Dame faculty in 2015, focuses his research and teaching on the 20th century, with specific emphasis on post-World War II America. He is currently co-editing the Routledge History of the Twentieth-Century United States, a series of essays that chart major themes of the last century, due to be released in 2017. He has also co-edited Faith in the New Millennium: The Future of Religion and American Politics (Oxford University Press, 2016), American Evangelicalism: George Marsden and the State of American Religious History (University of Notre Dame Press, 2014), and Sunbelt Rising: The Politics of Space, Place, and Region (University of Pennsylvania Press, 2011). Dochuk is the second consecutive Notre Dame historian to win an NEH Public Scholars Award. Associate Professor Linda Przybyszewski won in 2015, the program’s inaugural year, for a book project titled The Unexpected Origins of Modern Religious Liberty. The NEH created the Public Scholars Award to support authors researching and writing humanities books that are intended for broad audiences and that seek to deepen understanding of the human condition as well as current conditions and contemporary problems. Originally published by Brian Wallheimer at al.nd.edu on January 18, 2017.